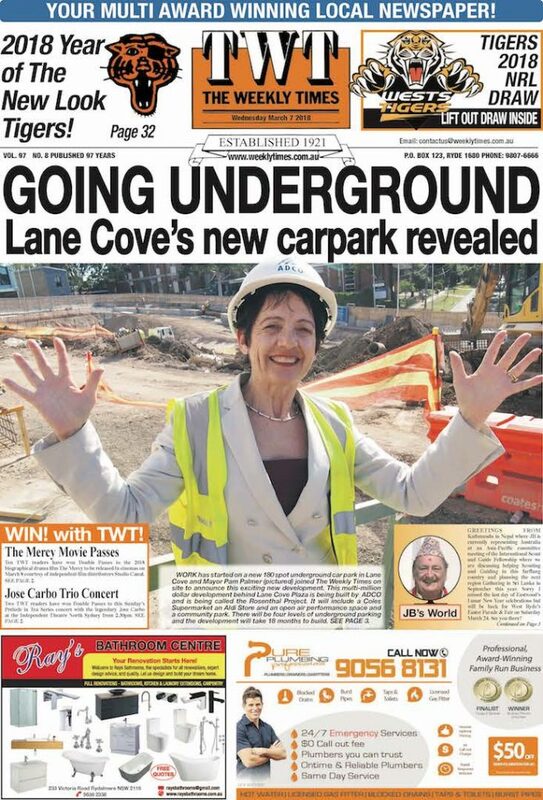 WORK has started on a new 180 spot underground car park in Lane Cove and Mayor Pam Palmer (pictured) joined The Weekly Times on site to announce this exciting new development. This multi-million dollar development behind Lane Cove Plaza is being built by ADCO and is being called the Rosenthal Project. It will include a Coles Supermarket an Aldi Store and an open air performance space and a community park. There will be four levels of underground parking and the development will take 18 months to build. An architect’s drawing of the new Lane Cove carpark shows the four levels of underground parking. WORK has commenced on a four-level, underground carpark with 500 parking spots and a community garden behind Lane Cove Plaza. The multi-million dollar development by the firm ADCO is called the Rosenthal Project and will also incorporate a Coles Supermarket and an Aldi Store. There will be four levels of underground parking to replace the current open air car park of 180 spots. Lane Cove Mayor Pam Palmer told The Weekly Times the development will take 18 months to build. “The response has been enthusiastic and everyone is looking forward to the new car park and especially the new park,” she said. The above ground park will feature a performance space and barbecue facilities. It will also feature a pedestrian bridge over Rosenthal Avenue with a lift and stairs as well as a shared pedestrian zone for Birdwood Lane to provide level accessto Birdwood Lane and Lane Cove Plaza. More than 11,550 tonnes of excavated material has been removed from site and more than half of the eight metre deep piles required for the boundary retaining wall have been drilled. Once the project is completed 162,000 tonnes of material will be removed, enough rubble to fill 36 Olympic Swimming Pools Construction workers aim to install the final 10 piles over the coming weeks. The next major step is the installation of elevated site sheds above the shared pedestrian zone in Birdwood Lane which will then provide uninterrupted access to the full site for the remainder of the excavation works. Mayor Palmer said alternative parking is now available. 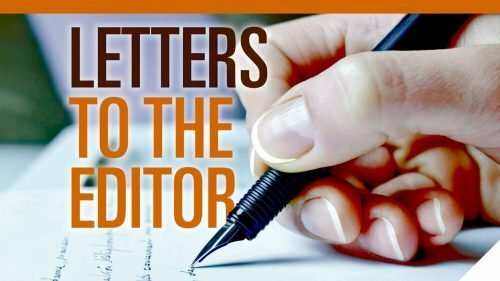 “In the interim the council is working to support local businesses impacted on by the loss of car parking and we’re especially helping with marketing,” she said. “There is still plenty of parking in Lane Cove while the project is under construction with three hours free parking available in the 200-space Little Street Car Park. 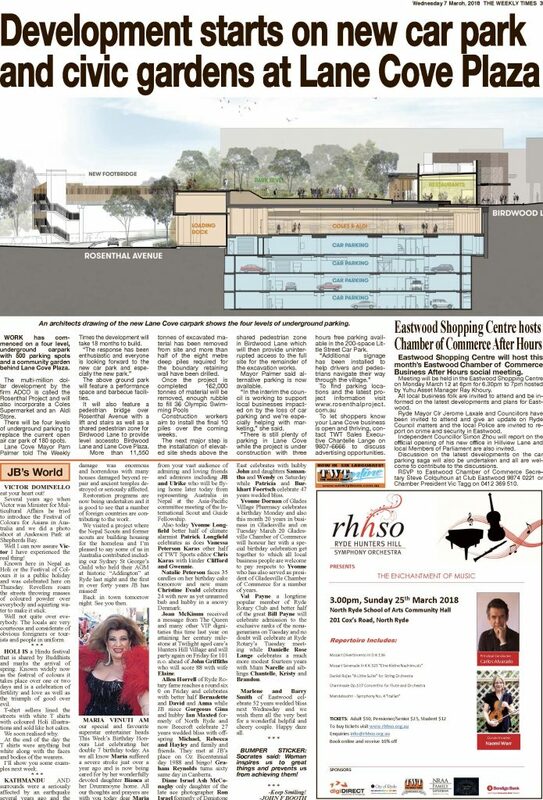 Let shoppers know your Lane Cove business is open and thriving – contact TWT Sales Executive Chantelle Lange on 9807-6666 to discuss advertising opportunities that can connect you with The Weekly Times’ solid and loyal readership. 2018 Year of The New Look Tigers!